This is a story about a young girl that walked 26 miles to buy a book. She wasn’t being sponsored. She didn’t have a TV crew in tow. She wasn’t travelling in a group. She was on her own. She travelled 26 miles along paths she had never walked; through villages and settlements that she had never visited. She didn’t have a map: just a rough set of directions. There is precious little that would persuade me to make a similar effort. And she walked all that way for a book. But before she could do the walk she did chores for years to squirrel away the money to buy the book. She sold eggs. She swept. She cleaned. She helped in hundreds of ways so that she could earn the money to buy the book. She died an unknown, anonymous to all but her family and friends. This is, I am quite sure, how she would have wanted it. Mary Jones may have died an unknown but the world didn’t play along. If most were asked to name the most famous Welsh woman they would probably name some actress or TV personality such is the froth of nonsense which governs the lives of so many – me included. Mary Jones deserves to be famous. 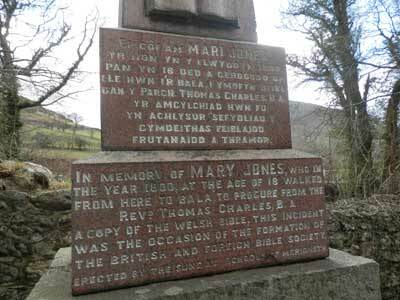 Mary Jones was born on the 16th December 1784 at Pen-y-Bryniau Mawr to Jacob and Mary Jones. Jacob, according to his marriage registry entry, describes himself as a Peasant which roughly translates to farm labourer today. 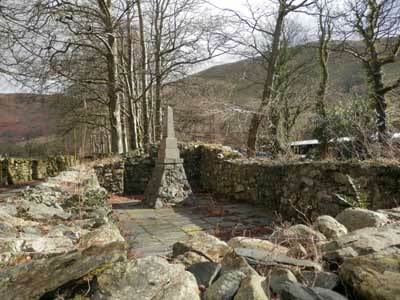 Shortly after Mary was born the family moved to a cottage called Ty’n-y-ddôl which is a short distance from the village of Llanfihangel-y-Pennant and nestles at the foot of one of the highest mountains in Wales, Cadair Idris. Jacob suffered from asthma and died aged just thirty when Mary was four. She and her mother would have faced much hardship in the years that followed. Mary’s mother and father were very religious and were among the pioneer Methodists in her area. 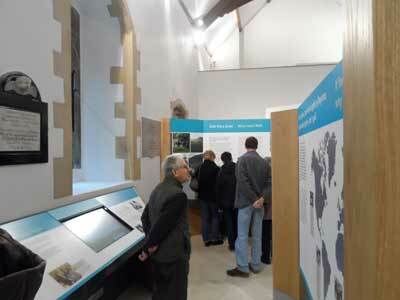 They were members of the Calvinistic Methodist Church at Cwrt which is a 2-mile journey. 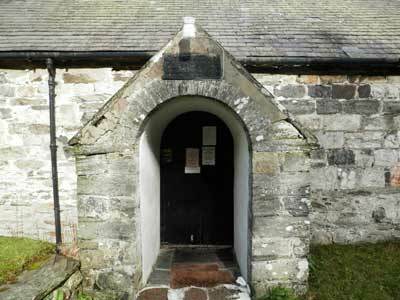 Mary & her mother would visit each Sunday with Mary attending Sunday School where she was taught to read and write in Welsh. By all accounts, Mary was a punctual and regular attendee. 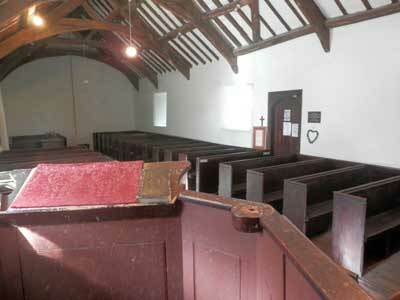 Family friends, Mr and Mrs Evans, encouraged Mary in her lessons and aged eight she would make the journey to their home, the farmhouse at Penybryniau Mawr, on her day off to read their Bible – the only copy in the area other than the one kept at the parish church. 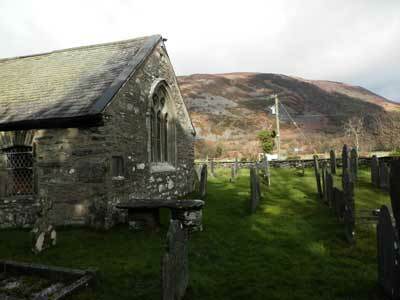 The Evans’s home was 2-miles from Ty’n-y-ddôl and she would make this journey every week, whatever the weather, so that she could commit portions of the Bible to memory. By the time she was ten Mary had resolved to buy her own Bible and set about the task of raising the 2s and 6d she needed. It is difficult to arrive at a measure of what 2s and 6d would be worth today but one estimate puts the price of an 1800’s Bible at £600 in today’s money. A farm labourer could expect to earn about 3s a week, probably less in Wales. What we do know is that it took Mary six years to save the money. She kept chickens and sold their eggs. She kept bees and sold the honey. She would take-up sewing work for her neighbours and collected firewood to help light their cottage fires. On one occasion she found and returned a wallet for which she was rewarded with a sixpence. Whatever she could do to raise the pennies she needed she did until she had finally saved enough money to buy her own book. When word came that a minister in the town of Bala had Bibles for sale Mary set off on the 26 mile trek carrying her only pair of shoes – she went bare foot until she reached Bala. When she arrived she was directed to the home of Rev Thomas Charles who brought her in and listened to her story of how she had saved for six years and her long journey to buy a Bible in her own language. Unfortunately, all of the copies in Thomas’ possession had already been promised. 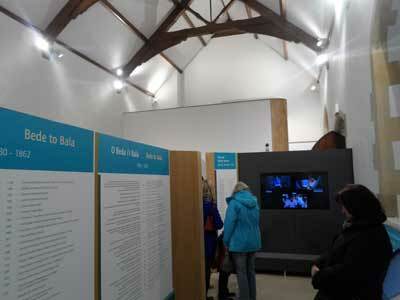 There are two endings to the story of Mary’s Bible walk. Touched by the girl’s strength of faith and determination he arranged lodgings for her until the next supply of Bibles arrived two days later. He then sold her three copies for the price of one. The alternative ending is that he gave Mary his own copy. It is said that Mary Jones’s visit to Thomas Charles in 1800 made such an impression on him that he had no rest until he had found a way of ensuring that the common people of Wales had access to a regular supply of cheap Bibles. On the 7th December 1802 Thomas Charles attending a meeting of the Religious Tract Society held in a warehouse on Swan Wharf near London Bridge. Thomas relayed Mary Jones’s story and this had such an electrifying effect on the committee that they founded a society to publish and distribute Bibles, not only for Wales, but also for the whole world: the British and Foreign Bible Society. Mary Jones inspired the creation of a society that has distributed hundreds of millions of Bibles and spawned many more Bible societies world-wide. Today the Bible is printed in over 2,230 languages. 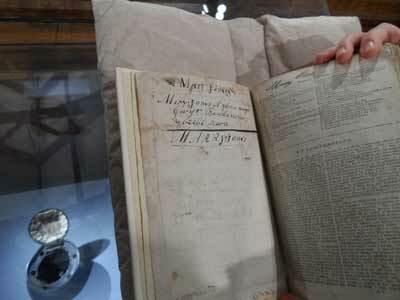 Two copies of Mary Jones’ Bible still exist. 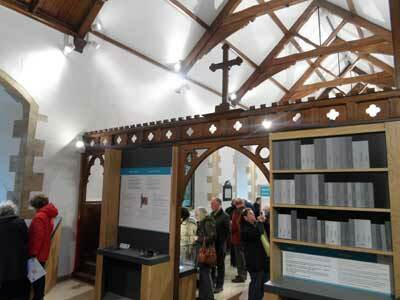 One is held in the archives of the British and Foreign Bible Society in Cambridge and the other is held at the National Library of Wales in Aberystwyth. 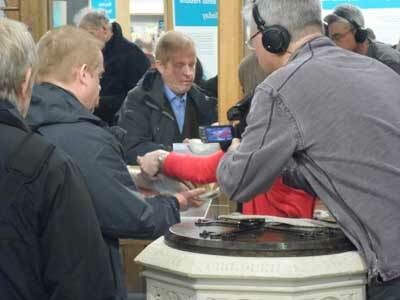 The copy held by the Bible Society is Mary’s personal copy. The third copy of the Bible has, unfortunately, now been lost. “One stormy Monday morning I was walking to a farmhouse about two miles from my home, a gentleman riding on a white horse and wearing a cloth cape came to meet me and asked me where I was going through such wind and rain. I said I was going to a farmhouse where there was a Bible, that there wasn’t one nearer my home, and that the mistress of the farm said that I could see the Bible, which she kept on a table in the parlour so long as I took my clogs off. I told him that I was saving up every halfpenny this long time to get a Bible but that I did not know where to get one. 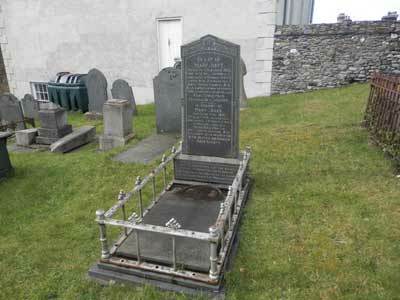 The gentleman was ‘Charles of Bala’, he told me to come to Bala at a certain time, that he was expecting some from London and that I should have one from him. When the time came my mother put the money and a little bread and cheese in one end of the ‘wallet’ and my clogs in the other, and I set off for Bala on a fine morning, resting where there was a stream of clear water, to eat the bread and cheese. I came to Bala trembling and knocked at the door of Mr Charles’ house. I asked for Mr Charles and was told that he was in his study at the back of the house. I was allowed to go to him and he told me that the Bibles had not arrived. I started to cry because I did not know where to stay. He sent me to stay with an old servant of his who had a house at the bottom of his garden, until the Bibles came. When they came Mr Charles gave me three for the price of one. I set off home with my precious burden, I ran a great part of the way, I was so glad of my Bible”. 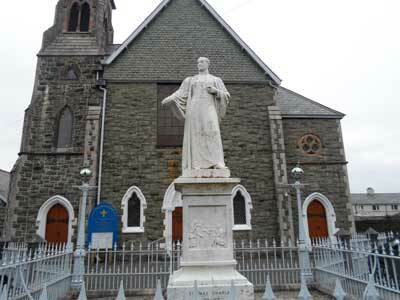 Mary married Thomas Jones in 1813 and moved to Cwrt. Mary and Thomas had six children: Lewis, Mary, Jacob, John, Ebenezer and Mary. 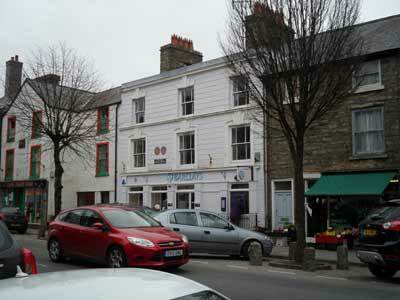 In 1820 the family moved to Bryncrug. 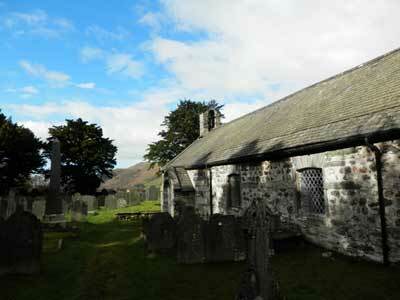 Mary died in 1864 and is buried in the graveyard of the Bethlehem Chapel in Bryncrug. The true inspiration behind Mary’s Bible story is not in the walk itself or that she was fifteen when she undertook it. The poor regular walked bare foot as shoes, even clogs, were expensive. Even the distance, a 52-mile round trip, was not at all unusual amongst Methodists of that era. The real inspiration lies in the years of sacrifice that it took for Mary to amass the small fortune needed to buy a Bible. 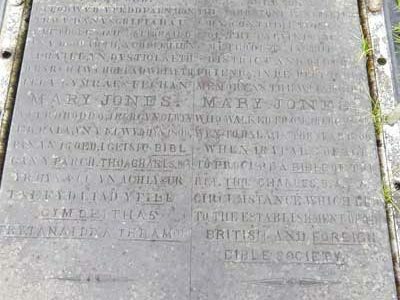 There are plenty of Mary Jones related landmarks in the area. Here are our picks! 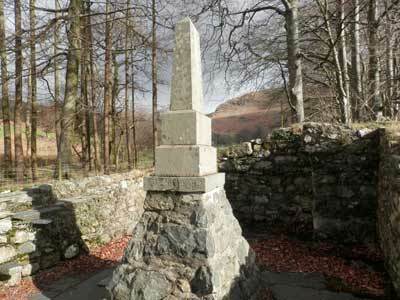 This monument was erected in 1907 in the ruins of Tyn-y-ddôl Llanfihangel-y-Pennant – the family home of Mary at the time of Mary’s walk to Bala. 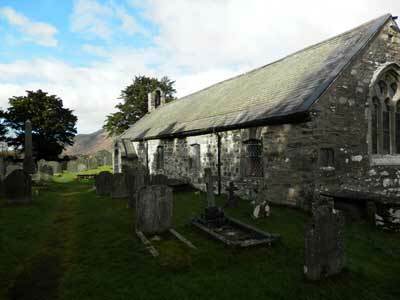 IN MEMORY OF MARY JONES, WHO IN THE YEAR 1800, AT THE AGE OF 16 WALKED FROM HERE TO BALA, TO PROCURE FROM THE REVD. THOMAS CHARLES, B.A. A COPY OF THE WELSH BIBLE. THIS INCIDENT WAS THE OCCASION OF THE FORMATION OF THE BRITISH AND FOREIGN BIBLE SOCIETY. 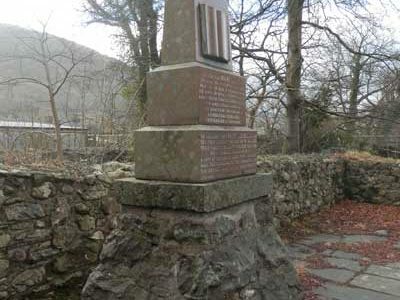 ERECTED BY THE SUNDAY SCHOOLS OF MERIONETH. Mary was actually in her sixteenth year and, therefore, fifteen when she walked to Bala. Head towards Abergynolwyn on the B4405. 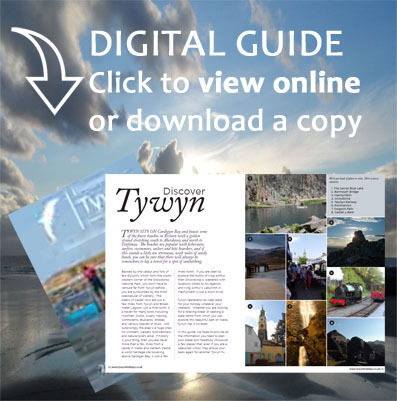 Once you have entered the village keep an eye out for the Railway Inn which will be on your left when travelling from Tywyn. As soon as you see the pub start indicating left as you need to turn immediately into Llanegryn Street. Keep on this road as it narrows and climbs up hill. After a couple of miles you will come across a right turn with a brown National Trust sign and a BT phone box as the road you are on turns sharply to the left. Turn right here. After about a 1 1/2 miles you will pass St Michael’s Church on your left. Just a little further is Tyn-y-ddôl. 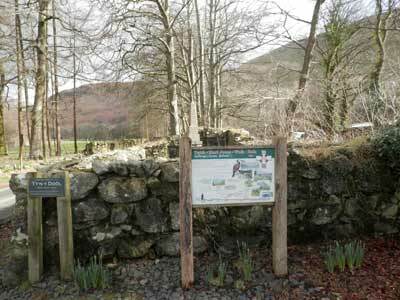 If you are planning a trip to see the monument and church stop-off on your way to spend an hour or two at Castell y Bere. You pass parking for this former stronghold on your way. 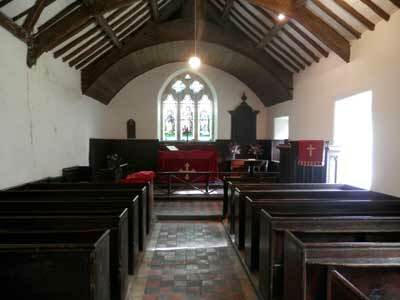 St Michael’s is the actual church where Mary Jones was baptized and where her parents were married. 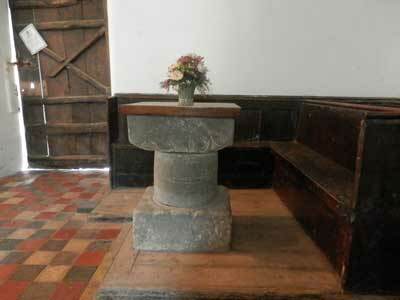 The church has a couple of unusual features: the font is believed to have been taken from Castell y Bere and is one of the few that house a Leper’s window. 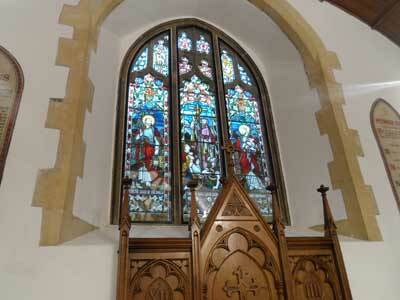 The window is set at an angle so that the viewer can see the pulpit from outside of the church. Leprosy was considered to be very contagious and sufferers were not allowed to enter the church. 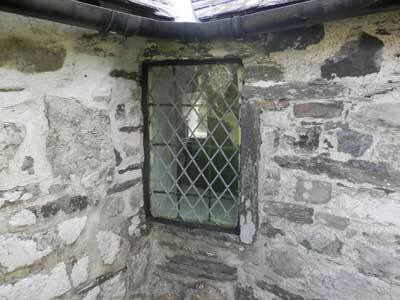 The window enabled people with leprosy to take part in a service without them coming into contact with the congregation. 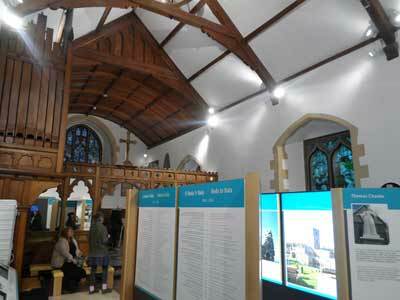 The church also houses a Mary Jones exhibition. 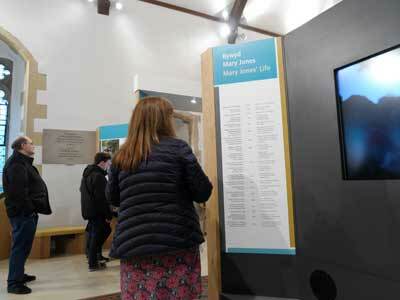 Mary Jones World is a new state-of-the-art visitor and education centre that tells the story of Mary Jones through a series of interactive exhibits and displays. 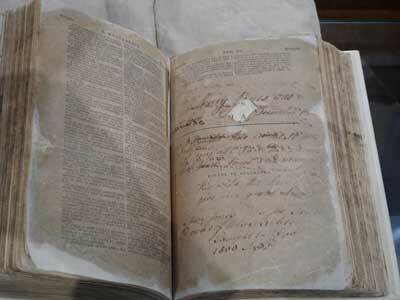 For two precious days it was home for Mary Jones’s Bible itself in March 2016. 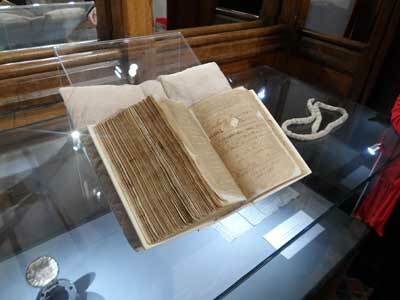 Mary Jones’s Bible is kept at the Bible Societies archive at Cambridge University. I Bought this in the 16th year of my age. I am Daughter of Jacob Jones and Mary Jones His wife. the Lord may give me grace. Amen. Mary Jones His The True Onour of thie Bible. Bought In the Year 1800 Aged 16th. 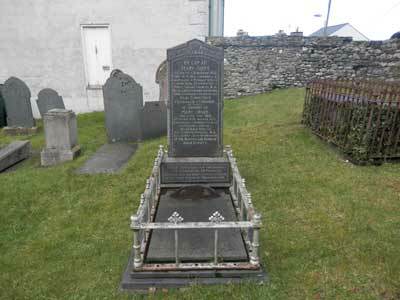 Thomas Charles lived in Bala and is famed not only for his role in the Mary Jones’s story but also for the establishment of Sunday Schools in Wales where children would learn to read scripture and write. Statue of Thomas Charles by William Davies outside Capel Tegid, Bala. What is now Barclay’s Bank was formerly Thomas Charles’ house. Mary ended her days in Bryncrug. 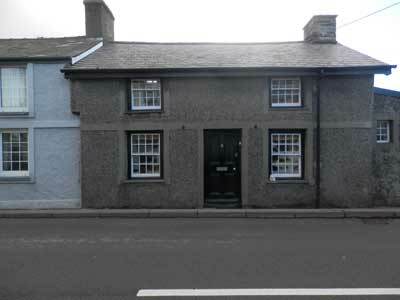 Her home was the last cottage on the left in Bryncrug travelling east from Tywyn. Because of its association with Mary the cottage is grade II listed. 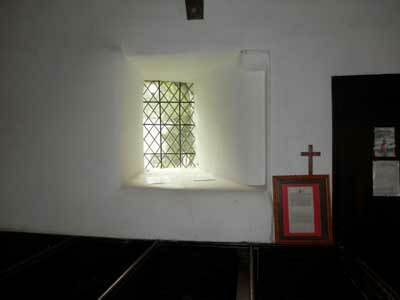 Mary Jones ended her days in Bryncrug and is buried in the graveyard of the Bethlehem Chapel. 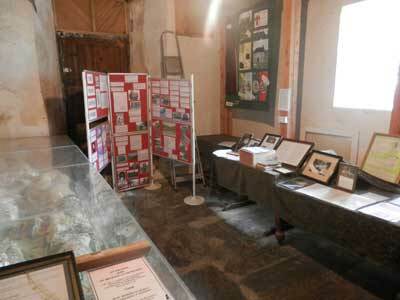 This entry was posted in Activities and Attractions, Culture, History and tagged Leper's Window, Mary Jones, Mary Jones Monument, Mary Jones World, Mary Jones's Bible, St Michael's Church Llanfihangel-y-Pennant Church, Tyn-y-ddol on 27 April, 2016 by Paula.